You'll find Marks and Spencer situated in an ideal position in Orbital Shopping Park on Thamesdown Drive, about 3.17 miles north-west of the centre of Swindon, in Haydon Wick (by Orchid Vale Primary School and North Swindon District Centre). The department store serves the customers of Haydon Wick, Ash Brake, Abbey Meads, Haydon End, Blunsdon St. Andrew, St.Andrews Ridge, Redhouse and Penhill. Today (on Monday) it is open 9:00 am - 8:00 pm. 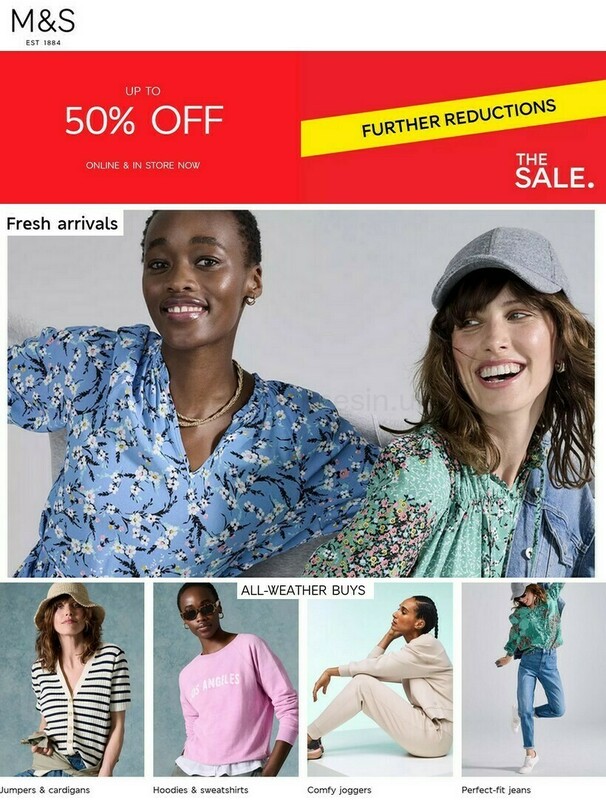 For further information about Marks & Spencer Swindon, Orbital, including the operating hours, local directions and email info, please refer to the sections on this page. Marks and Spencer is located in a good spot in the vicinity of the crossroads of Thamesdown Drive and Eastbury Way, in Haydon Wick, Swindon, at Orbital Shopping Park. This department store is just a 1 minute trip from Westfield Way, Lady Lane, Ealing Way and Elstree Way; a 5 minute drive from Blunsdon Bypass, Oakhurst Way and Cricklade Road; or a 11 minute drive time from Beechcroft Road, Mead Way and White Hart Roundabout. For Sat Nav please insert the postcode SN25 4BG. You can reach the store by bus at Asda Walmart. Arrive here by routes 11, 12, 13, 14, 15, 19, 24, 153, 11A, 13A and 14A. The train operates frequently to Swindon Station (2.62 mi away). Get on the GWR line. If traveling by foot you can find Seven Fields Nature Reserve, Isambard Community School, Mouldon Hill Country Park, Haydon Wick Primary School, Greenmeadow Primary School, Cheney Manor Industrial Estate and Abbey Meads Community Primary School. The total number of Marks & Spencer stores currently open in Swindon, Wiltshire is 3. View the entire index of all Marks & Spencer locations near Swindon. Please be advised that the holiday period may bring about modifications to the established store hours for Marks & Spencer in Swindon, Orbital. Throughout 2019 these alterations apply to Xmas Day, Boxing Day, Easter Sunday or August Bank Holiday. Take a look at the official site when planning your trip to Marks & Spencer Swindon, Orbital, or phone the customer line at 0333 014 8555 for additional details about the seasonal opening hours. Visit Orbital Shopping Park today for a wide range of appealing stores and great offers. You can also find Argos, ASDA, Next, McDonald's, Nando's, Card Factory and a few others at this spot. The Opening Times in the UK team is working to deliver you with the most accurate information as possible. Please don’t hesitate to utilize this form to report any mistakes with the address particulars or operating times for Marks & Spencer in Swindon, Orbital. Please express your thoughts about Marks & Spencer by writing your review in the box provided below. You may also rate the location by using the star rating system.